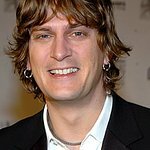 The Humane Society of the United States honored Sidewalk Angels Foundation, founded by Grammy Award-winning artist Rob Thomas and his philanthropist wife Marisol Thomas and luxury beauty brand Moroccanoil last week at the 2017 To the Rescue! New York gala at Cipriani 42nd Street. The evening raised $3 million for HSUS’ animal rescue efforts. Actress Malin Akerman presented the Thomases and their Sidewalk Angels Foundation with the HSUS Compassion in Action Award for making real change in helping those who have no voice. In her speech, Akerman praised the Thomases for their immediate reaction to animals in need during the tragic hurricanes that swept the U.S. this year. In their acceptance speech, Rob and Marisol Thomas thanked The HSUS for the honor and praised the organization’s unwavering dedication to helping animals out of harmful situations across the country. The HSUS honored Moroccanoil with its Corporate Consciousness Award for making animal welfare and social responsibility its cornerstone. Caring for thousands of animals each year, The HSUS and its global affiliate Humane Society International deploy responders across the country and the world to help animals at risk or suffering in puppy mills, dogfighting rings, large scale-neglect cases and natural disasters. Guests enjoyed a three-course vegan meal prepared by Chef Chloe Coscarelli, a live auction, and exclusive entertainment by Thomas. Actress Kate Mara and Dylan’s Candy Bar founder Dylan Lauren co-presented the Animal Rescue Team portion of the program. Additional supporters in attendance included Nigel and Cristen Barker, Wes Gordon, Nicky Hilton Rothchild, Cathy Kangas, Joe Kernen (CNBC “Squawk Box”), Ariana Rockefeller, Sadie Sink, Jack Welch, and Paul Wesley. This year’s gala was chaired by David Brownstein and Suzy Welch, along with Co-Hosts Georgina Bloomberg, Amanda Hearst and Stephen Read.